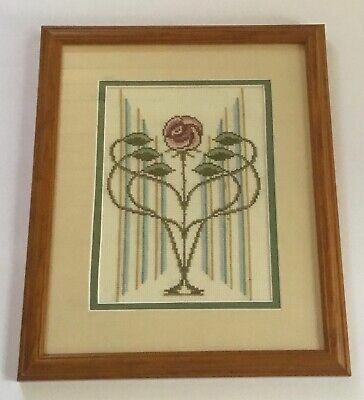 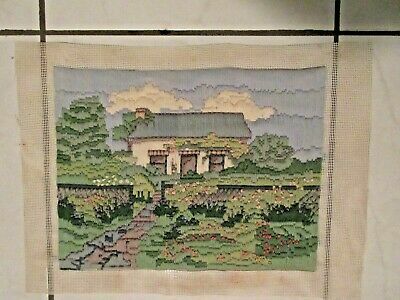 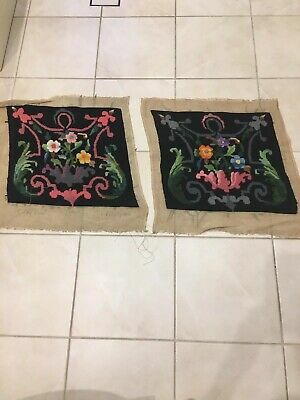 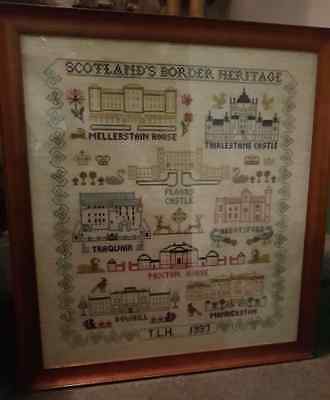 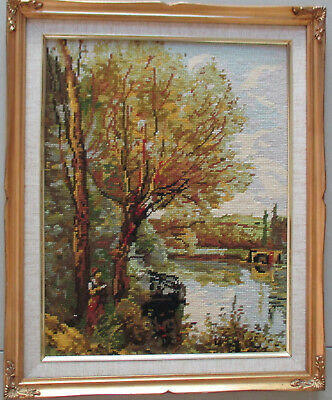 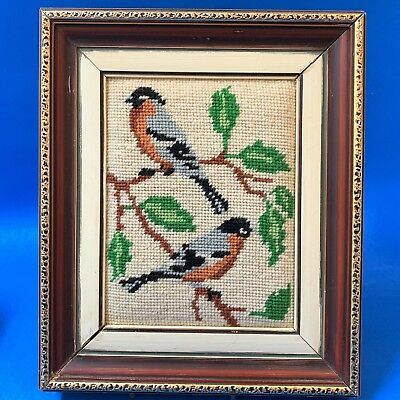 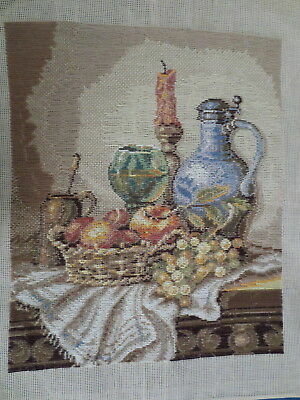 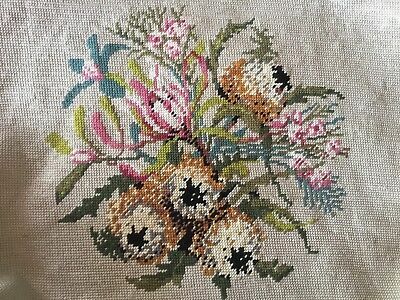 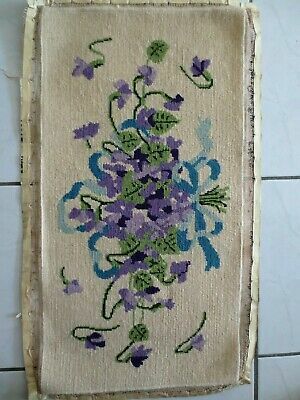 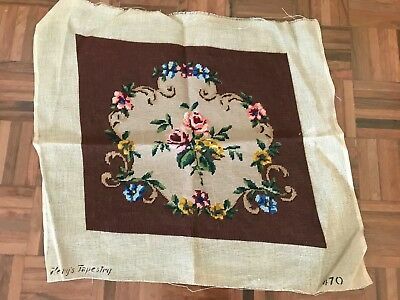 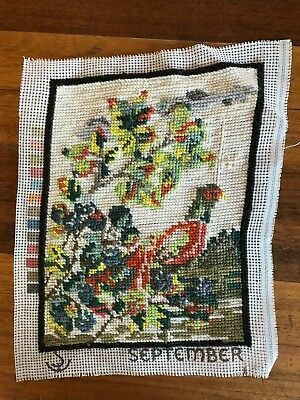 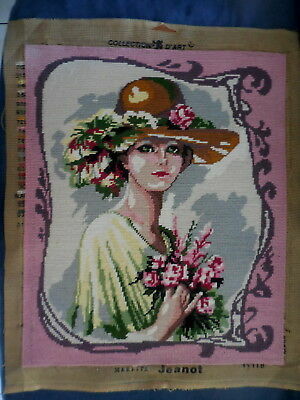 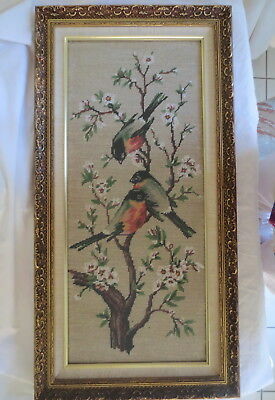 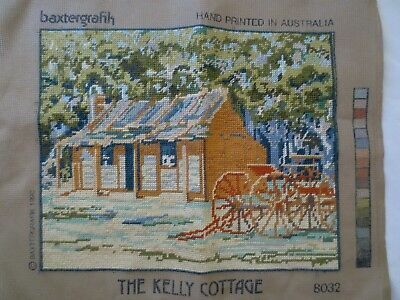 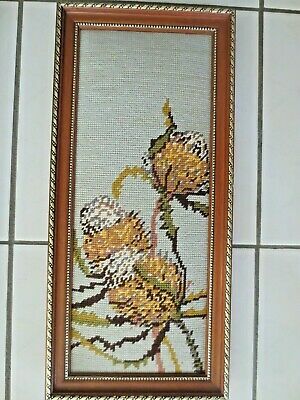 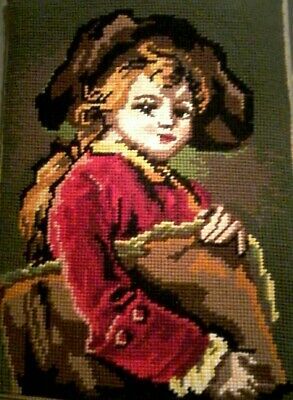 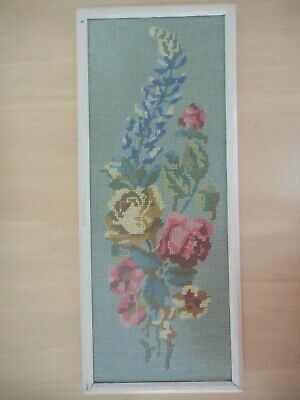 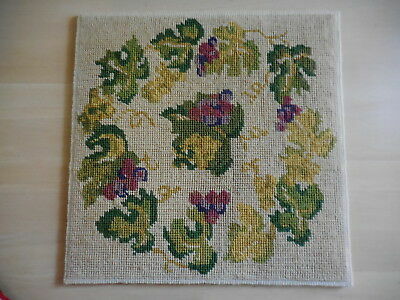 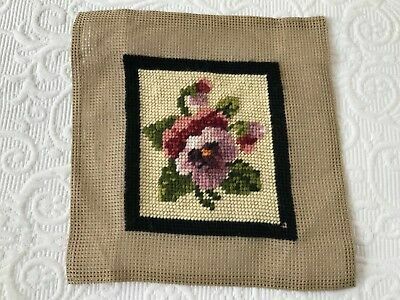 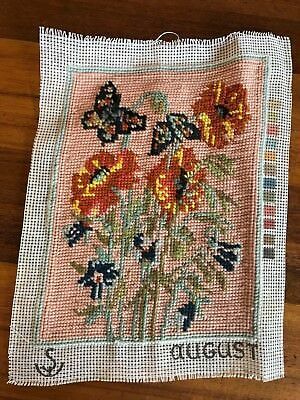 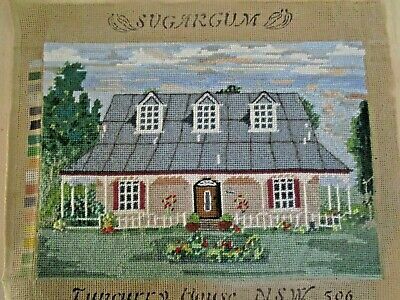 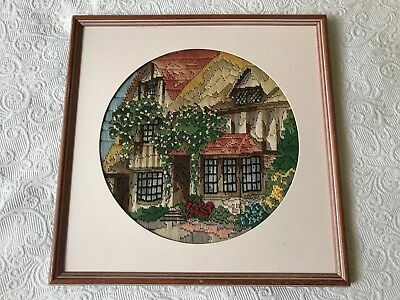 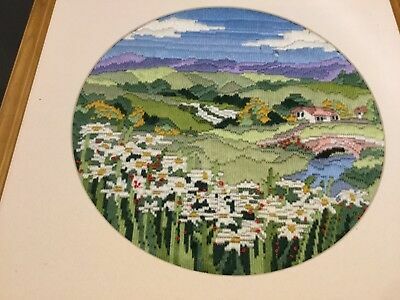 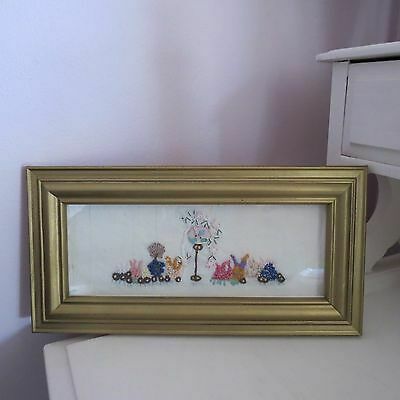 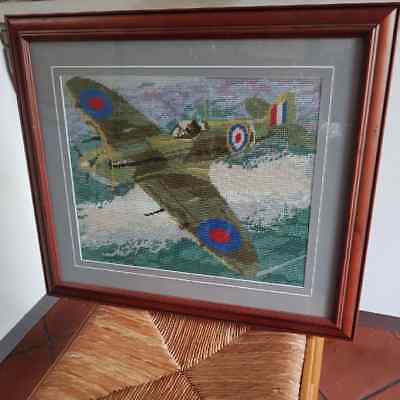 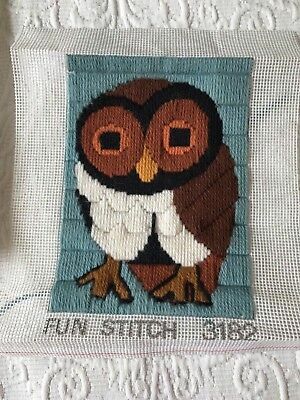 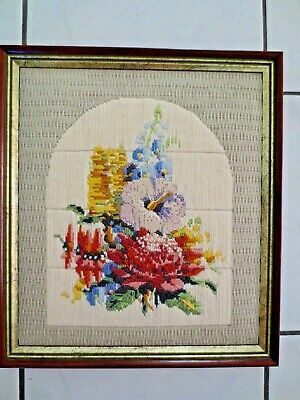 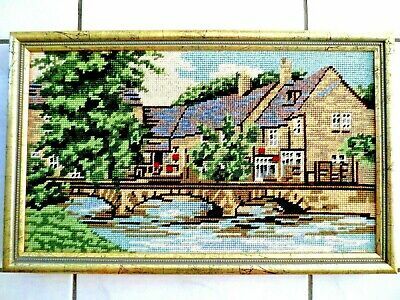 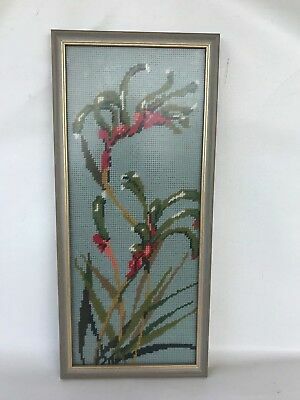 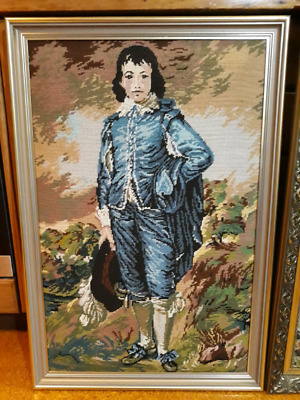 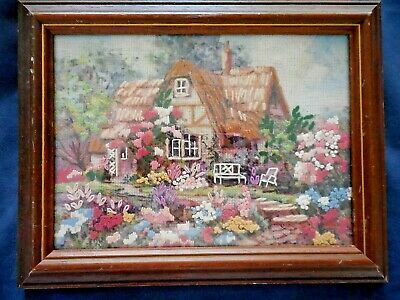 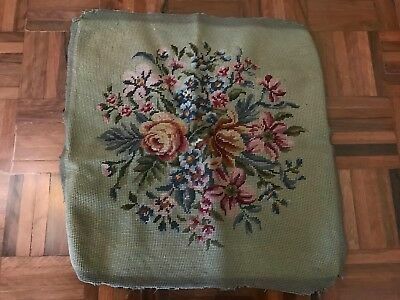 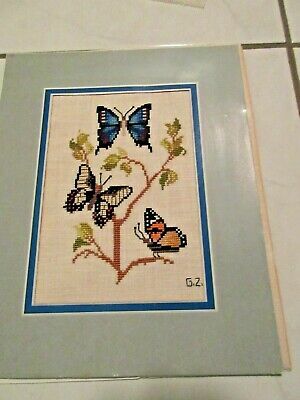 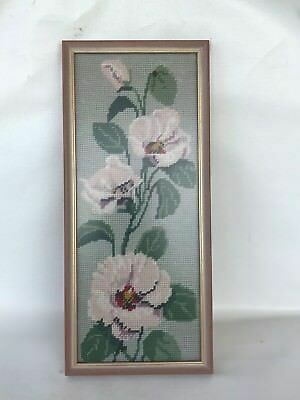 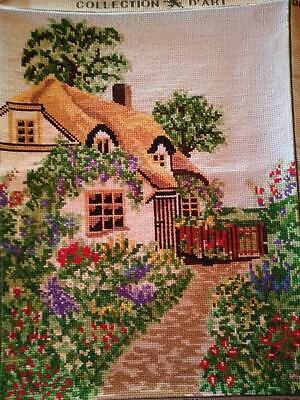 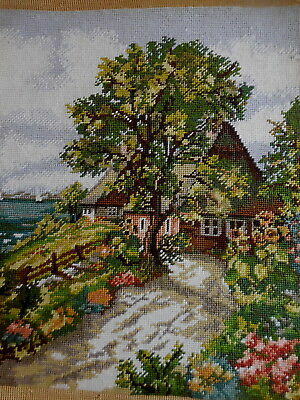 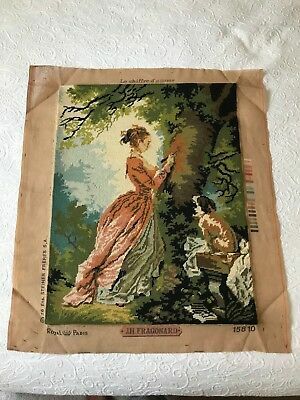 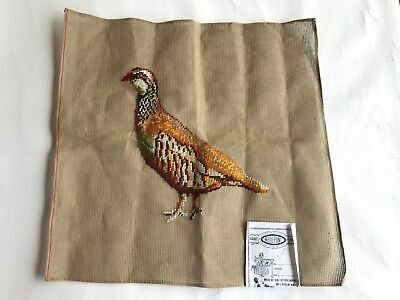 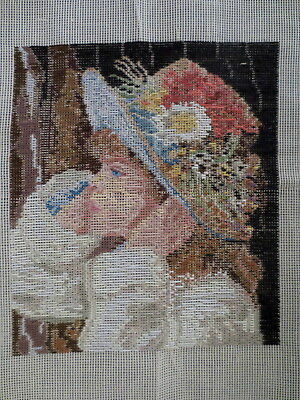 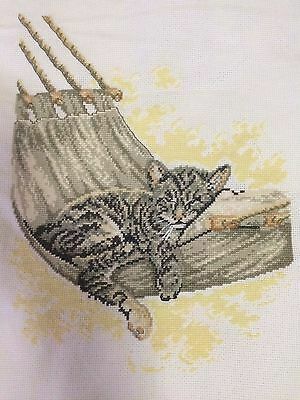 Needlepoint Thatch Cottage & Gardens - Completed~ D'Art ~ Frame? 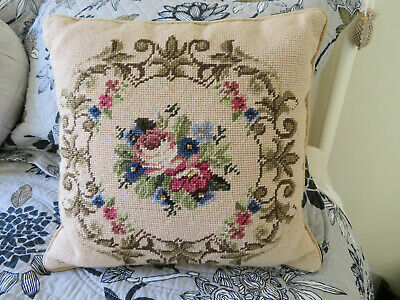 Cushion front? 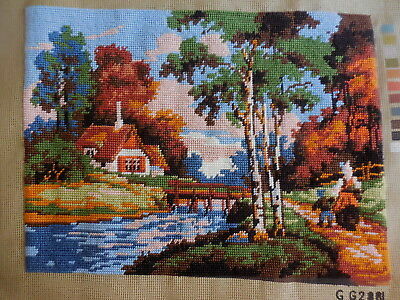 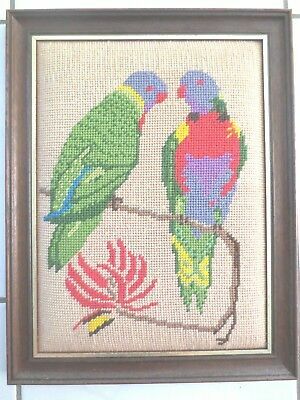 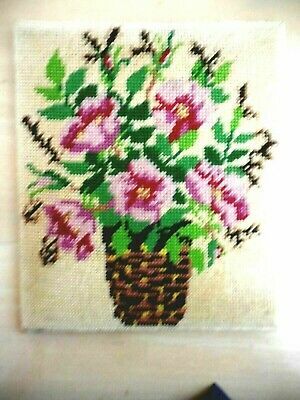 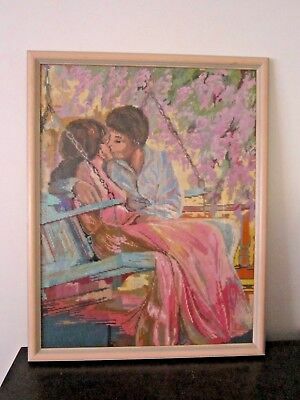 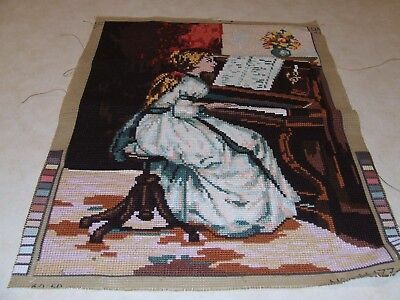 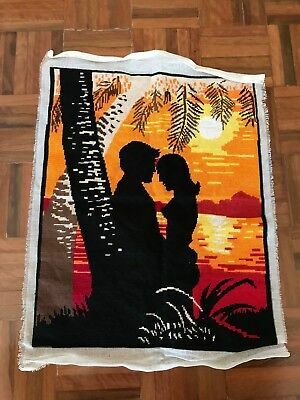 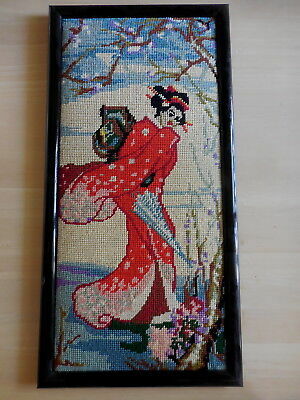 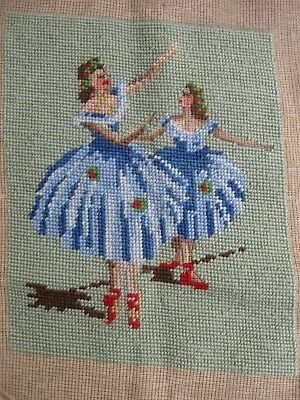 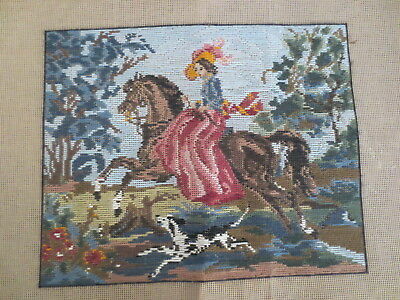 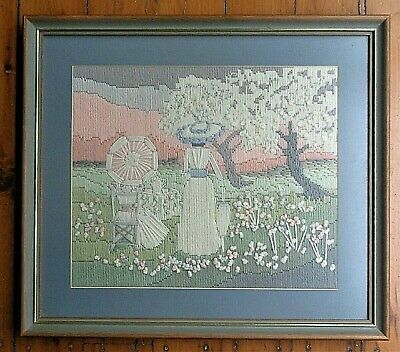 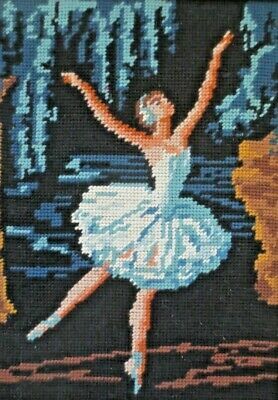 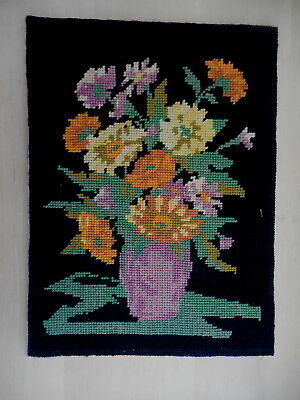 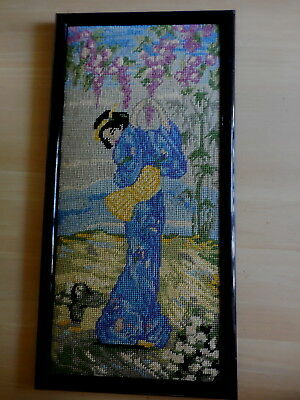 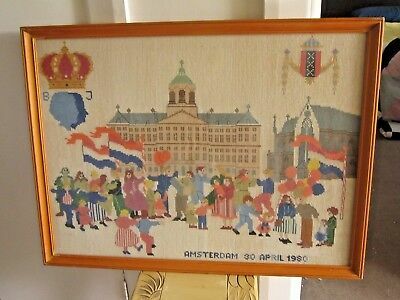 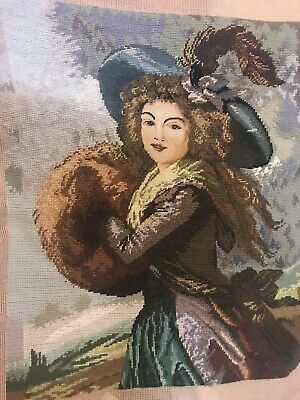 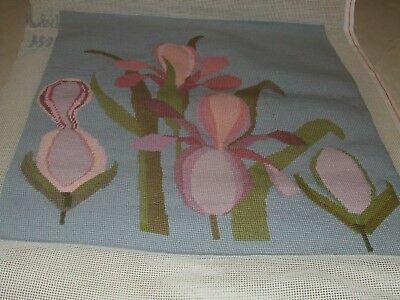 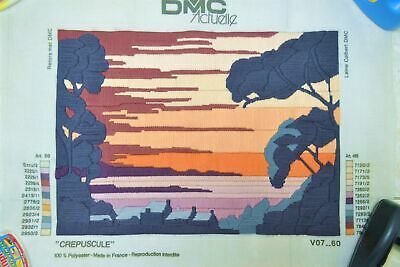 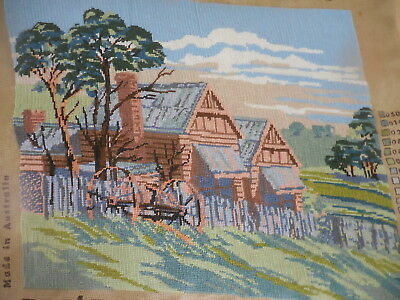 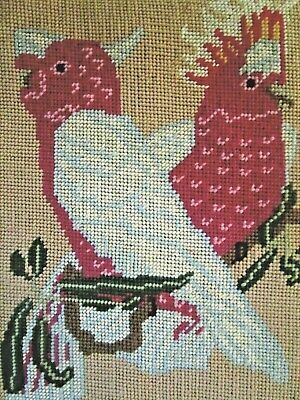 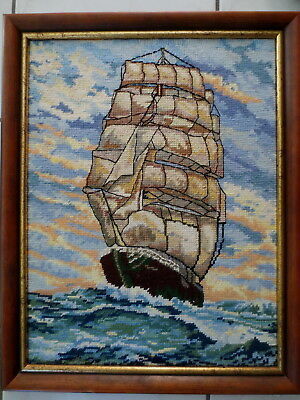 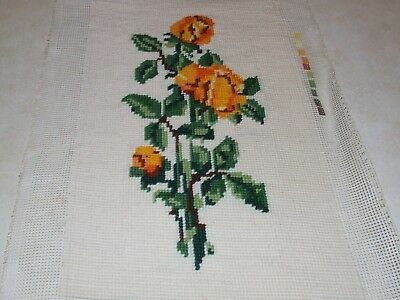 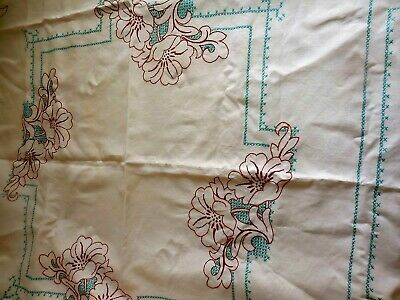 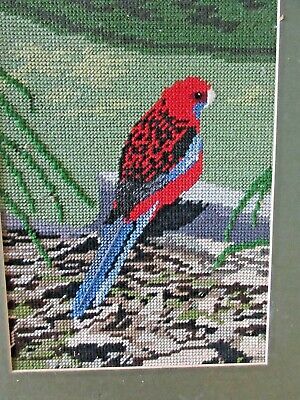 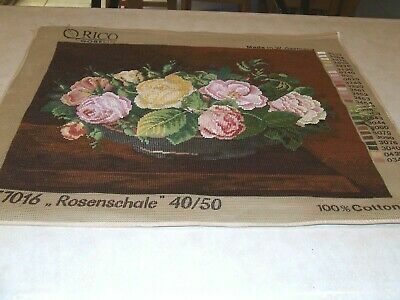 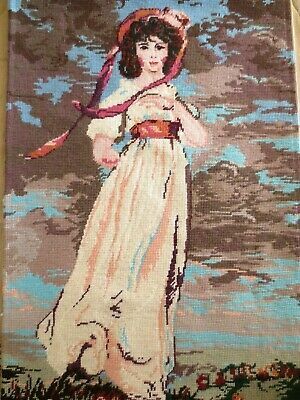 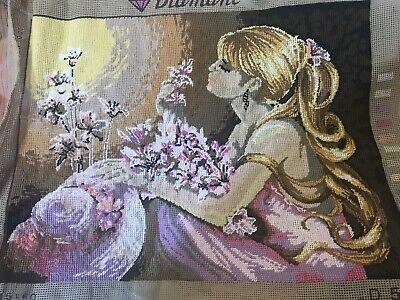 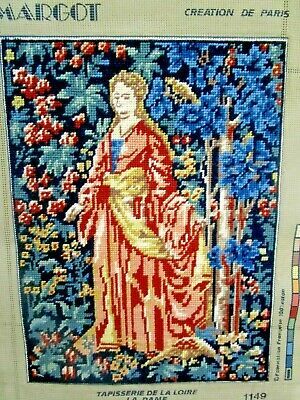 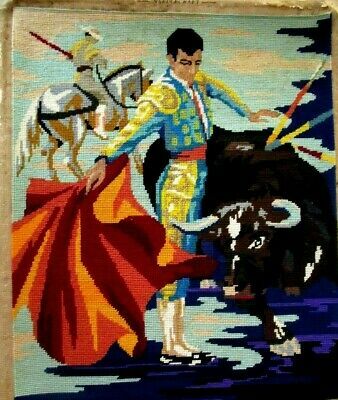 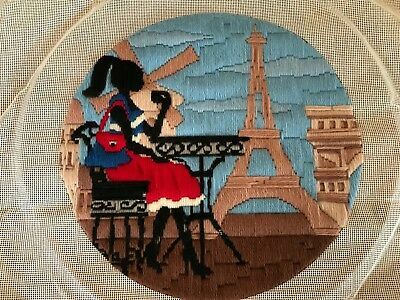 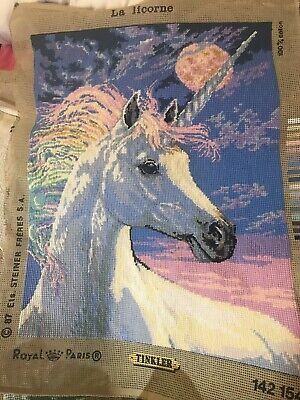 Large 90's Romantic Colorful Framed Tapestry Needlepoint Lovers On Porch Swing. 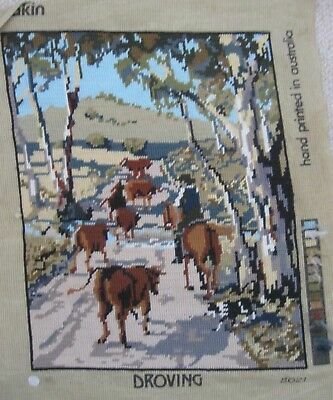 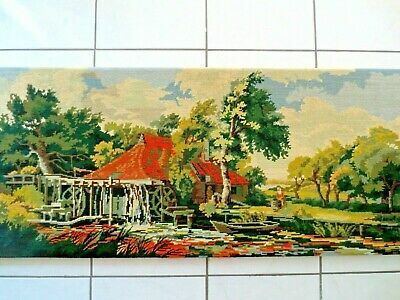 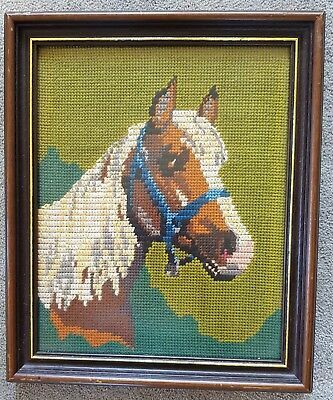 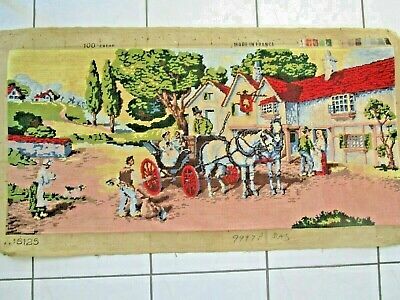 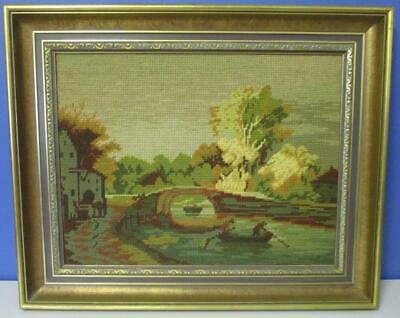 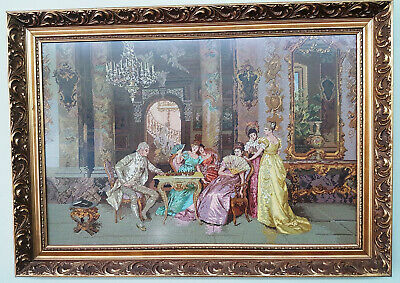 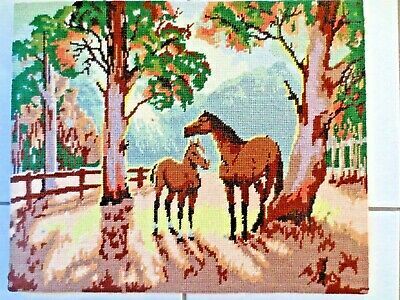 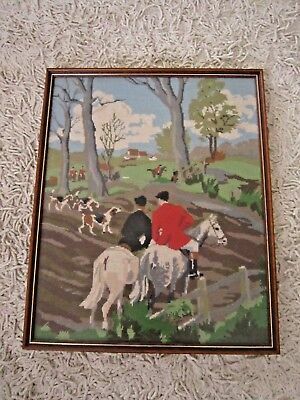 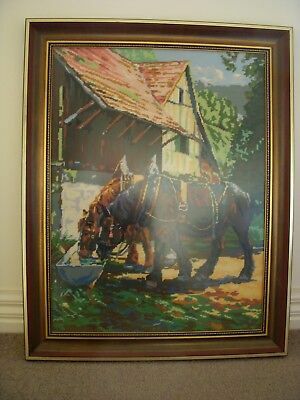 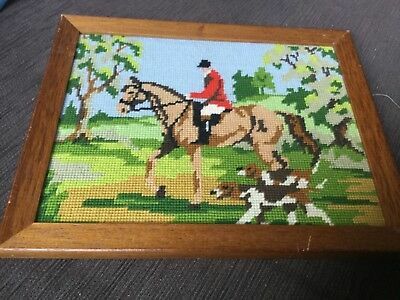 Framed WOOL TAPESTRY - "Horses Drinking At The Trough" - Nickel Royal Paris. 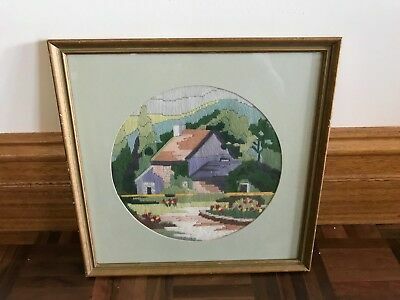 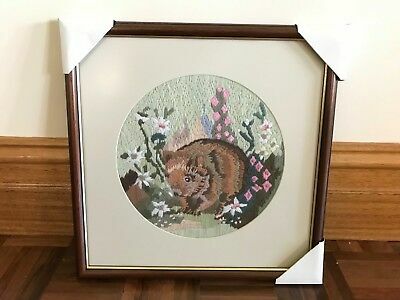 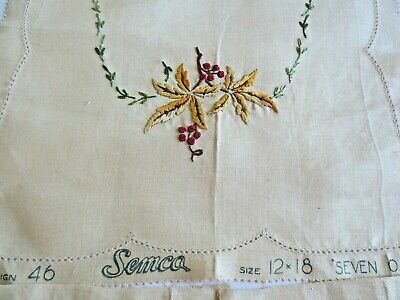 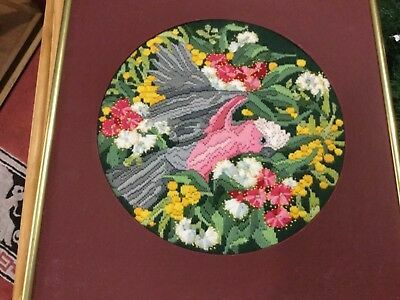 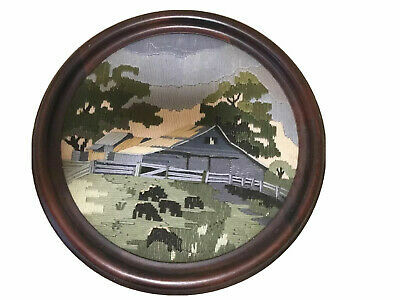 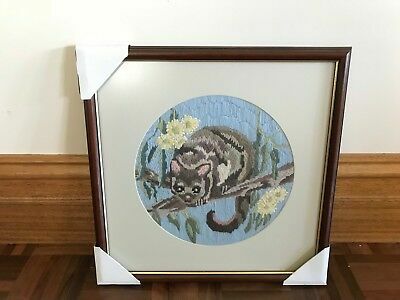 Needlepoint Embroidery Framed Glass Oval Matting Winter Scene Very Fine Work.